When you are creating your work it is often the last thing on your mind to find new clients and customers. 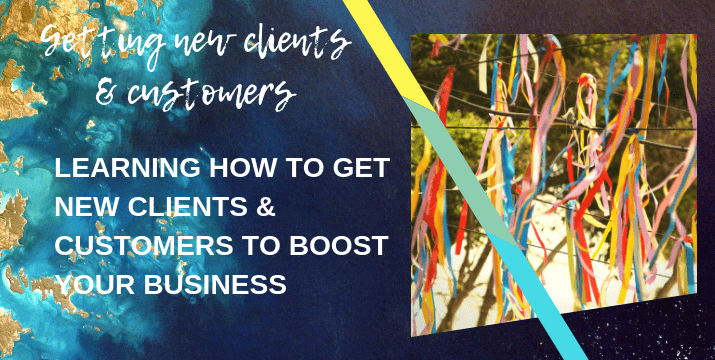 Learning how to get new clients and customers is the life blood of your business and career. It isn’t something that you need to feel worried about, as it is possible to find new business even if you are relatively new to the market place. The key with everything is to test and review your results. Copying what someone else is doing to attract new clients and customers might not work for you. We are all unique and it is important to be really clear about why you want new customers and clients (and no it shouldn’t be only about the money!) and what you are offering them. You might have clients that you are currently having difficulty with. If that is the case these podcasts and articles could help you. 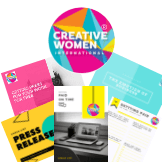 There are loads of other FREE resources that you can access to help your business and career by signing up below.